If you need information about a detainee that is housed at this facility, you may call (662) 345-6567 between the hours of 8 a.m. to 5 p.m. When you call, please have the individual’s biographical information ready, including first, last and hyphenated names, any aliases he or she may use, date of birth and country of birth. Detainees cannot receive incoming calls. If you need to get in touch with a detainee to leave an urgent message, you must call (662) 345-6567 and leave the detainee’s full name, alien registration number and your name and telephone number where you can be reached. The detainee will be given your message. Parking: Ample parking is available at the facility for all visitors. Accessibility for Individuals with Special Needs: The facility is in compliance with the Americans with Disabilities Act (ADA). Wednesday and Thursday 9 a.m. to 4 p.m. Contact the facility at (662) 345-6567 for visitation arrangements or questions. Visits shall not exceed 420 minutes. Clergy may visit detainees at any time, but must make prior arrangements with the Chaplain’s Office at (662) 345-2126.
Letters sent to detainees must include the detainee’s A-number (File Number), plus the sender’s name and address. To enhance the safety of the facility, all incoming mail is subject to screening for contraband. The mail is not read upon opening, only inspected by the delivering officer. Detainees may send mail from the facility. Detainees may seal their outgoing letters and place them in the provided receptacle. All incoming mail will be delivered to the detainee, and outgoing mail will be routed to the proper postal office within 24 hours of receipt by facility staff. A mail pick-up and delivery schedule is posted in all housing units. 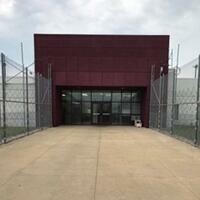 The Facility has a responsibility to protect the privacy and other rights of detainees and members of the staff. Therefore, interviews will be regulated to ensure the orderly and safe operation of the Facility. Ordinarily, live television or radio interviews will not be permitted in the facility. Press should contact AFOD John Hartnett at (318) 992-1600 for further information.